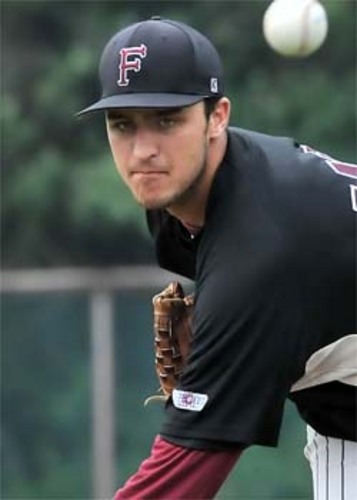 Southpaw Commodore Sean Hagan (St. Johns) helped Falmouth to maintain their prime spot as second place in the Western Division with an incredible outing that earned him Coca Cola’s Pitcher of the Week. Hagan shined in last Sunday’s game versus Brewster, where he threw a shutout to carry the Commodores to a 6-0 victory. He only allowed one hit and struck out nine batters during the nine innings he tossed. He is currently 4-0 and holds a sparkling 3.52 ERA. A native of Larchmont, NY, Hagan pitches for St. Johns University. He finished the 2012 season going 8-3, posted a 2.90 ERA and led the team pitching 108.2 innings with 68 strikeouts. One of his collegiate bests included an outing against Villanova where he tossed eight complete innings while only allowing one run. With Cape League players competing for the All-Time Cape Cod Baseball League wood bat homerun record, power hitter Tyler Horan (Virginia Tech) blew the competition away with some key runs that earned him this prestigious honor and Coca Cola’s Player of the Week. Horan’s most impressive performance came from last Saturday’s game versus Chatham, leading Wareham’s explosive offense by cracking two home runs, including a three-run homer on a 2-1 pitch, and tallying six RBI. 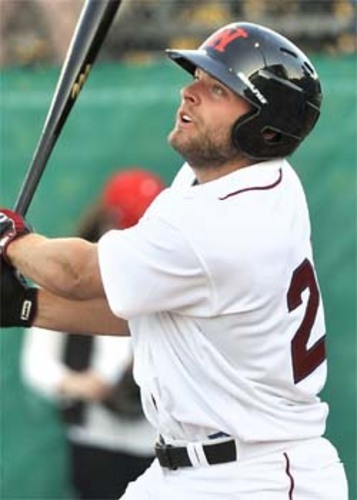 The Gateman All-Star notched his league-leading 16th homer Sunday night against Falmouth, in the process tying for the All-Time Homerun record with ‘88 Whitecap Dave Staton and ‘79 Kettleer Tim Teufel. Hailing from Middleboro, Mass, Horan is an outfielder for Virginia Tech. In 2012 he posted a .282 average and led the team with 15 home runs, 12 multi-run and 13 multi-RBI games. He made 54 starts overall and was one of three Virginia Tech players to be named to the VaSID all-state team.